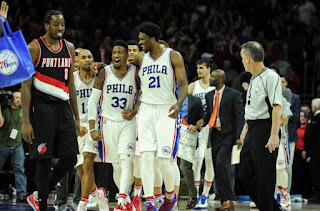 EOTR Tag Team Tuesdays: Money Inc.
Before free agency begins, I want to give a short background and preview of what I expect from my 76ers. Since I was a kid there has never been this much hype for this team heading into a season after Allen Iverson was traded to Denver. 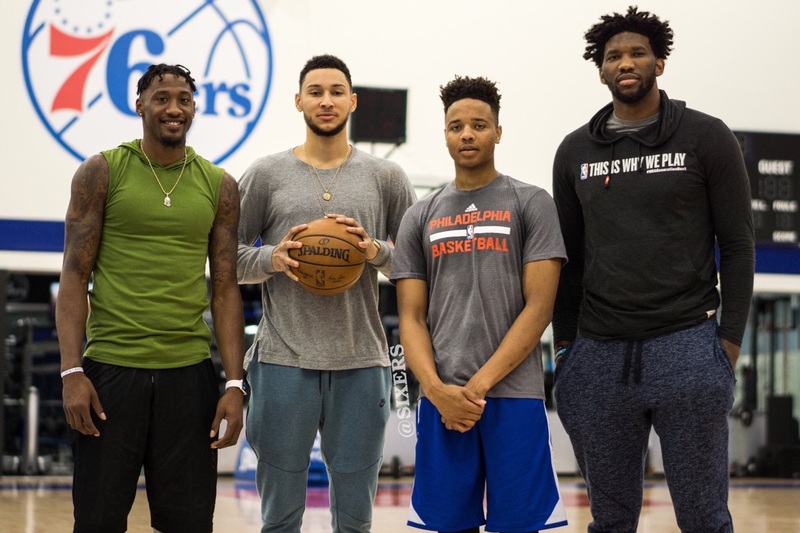 With a young core centered around Joel Embiid, Ben Simmons, Dario Saric and new point guard Markelle Fultz, there is certainly a lot to be excited about when this team steps on the court in the fall. 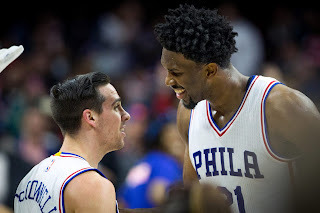 -Last season, the Sixers finished among the bottom feeders at 28-54. Number one overall pick in the 2016 NBA Draft, Ben Simmons, played in zero games after injuring his foot shortly before the season began. 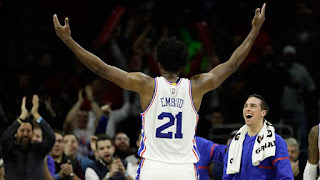 Joel Embiid finally made his season debut and turned out to be every bit the star we were hoping he'd turn out to be in 2014. However, a slight meniscus tear in his left knee cut his season short just before the All Star Break. Before the injury, Embiid had the Sixers rolling with the team finishing 10-5 in January and a few games out of 8th place. There was some promise but also a lot of wrongs in desperate need of correction. With better talent being added the offense should improve but shooting was among the worst. Philadelphia shot 34% as a team from 3, which was good for 23rd in the League. Their best shooter was Nik Stauskas, who finished the season at 36%. Ben Simmons wasn't a good shooter coming out of LSU, so he alone can't change this. The role players also looked lost without a star on the floor. The ball was being moved around but no one got into proper position to score which means more difficult shots being thrown up to beat the shot clock and interceptions in the passing lanes. 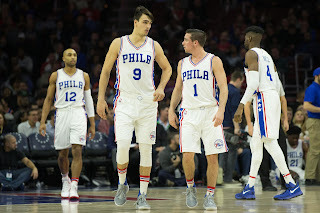 Dario Saric clearly isn't a number one option, disappearing in blow out losses. Defense was also a weakness, but more so a strength despite poor ratings. Injuries also exposed this team's lack of depth at the front court positions. At the end of the season guys like Tiago Splitter, Alex Poythress and Shawn Long were being brought off the streets to play with Saric and Richaun Holmes. 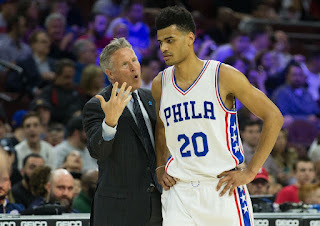 As I said defense was a strength and a weakness but that more so had to do with not having a good rim protector after Embiid went down and Nerlens Noel was traded to the Mavericks. With a good post presence in the paint, the perimeter defenders played with more aggressiveness knowing that they had help if their match up got behind them. 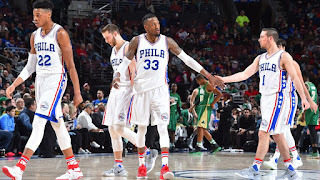 Robert Covington was most effective on the perimeter and drew the biggest match ups every night. The team also benefits from long and rangy guys playing at all positions as the league moves towards a more athletic and lengthy style of play. The team's ball movement is also among the best when they aren't holding on to the ball too late into the shot clock. They averaged 23.8 assists per game, good enough for 6th. 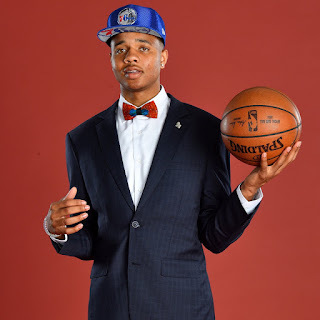 As the number one overall pick, Fultz comes in with very high expectations. His ability to play on and off the ball will work wonders in lineups with Ben Simmons on the floor as the point guard. He has a very good first step which allows him to blow by defenders but his bread and butter is his inside-outside game. He knocked down the 3 at 41% at Washington but can also get into the paint at will. 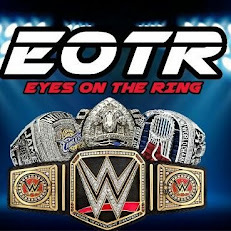 He may have some growing pains adjusting to a new level of competition but scoring comes so natural for him. He's also an underrated defender, despite what ESPN says, and his size and wingspan will benefit him greatly. Expect him to contribute right away. My player to watch this season is what steps Timothe Luwawu-Cabarrot will take. The 6-6 French SG played well as a rookie, showing promise as a potential 3 and D player. With the SG starting spot up in the air, let's see if he'll take advantage of the opportunity to secure that gig. The Sixers have 3 Free Agents: Sergio Rodriguez, Tiago Splitter, and Alex Poythress. I don't expect any of them to be retained heading into next season. 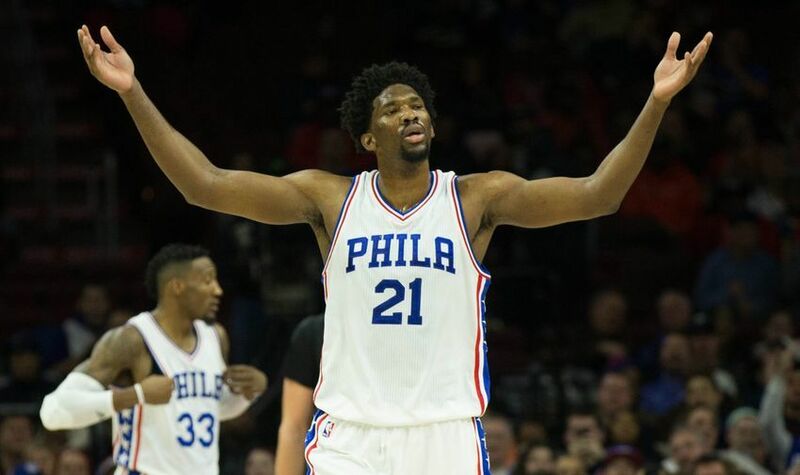 The Sixers have well over $46 million. After drafting Markelle Fultz, it saves the team from offering a max deal to Kyle Lowry. I don't expect any blockbuster moves from this team, but addressing their three point shooting problem and big man depth could be something to keep an eye on. If I could sign two players it would be: Kyle Korver, who is much cheaper than JJ Redick, and Zach Randolph who provides a veteran presence and rebounding. 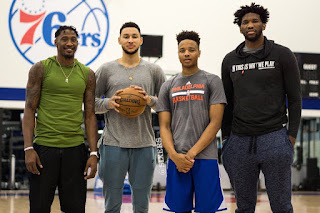 I do expect this to be the best team of The "Process" era but I'm going to keep my expectations. Best case scenario, they make it into the playoffs with somewhere between 40-45 wins. Worst case I have them at 38-44. With their building blocks in place, only thing left to do is build the chemistry that holds the home.